Dean Bernal visited Turks & Caicos Islands for the first time in 1981 and after graduating with degrees in Communication, Sociology, and Environmental Studies at the University of California, Santa Barbara, Dean settled in The Turks & Caicos Islands. Dean came across three small young dolphins on his first ocean swim. One of these dolphins – who Dean called JoJo – started to follow him on his daily swims and soon became Dean’s best friend. Dean was appointed as JoJo’s official warden and JoJo was declared a National Treasure of the Turks & Caicos Islands. Dean’s relationship and work with JoJo allowed him to become actively involved in securing the long-term care and protection of other endangered lone sociable dolphins and whales around the world. 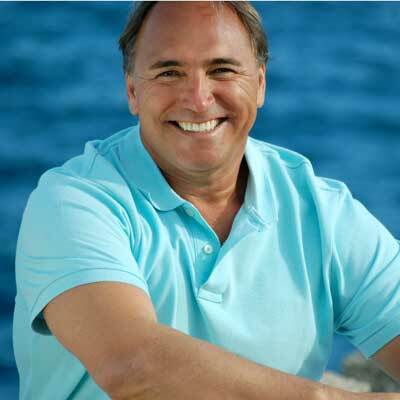 Dean has campaigned and helped to create thirty-three marine reserves, parks and sanctuaries in the Turks & Caicos Islands. He created the Marine Wildlife Foundation as a California based publicly supported non-profit organization to conduct research and protect marine wildlife and their habitats. Today, Dean continues with supporting a multitude of projects in education and protection of the land and ocean. Dean has also been instrumental in campaigning internationally to improve the education and understanding about dolphins, whales, and their environment. These campaigns have led to significant changes in social awareness and laws governing environment, and the welfare of dolphins and whales worldwide.